via their corporate social responsibility consultancy. 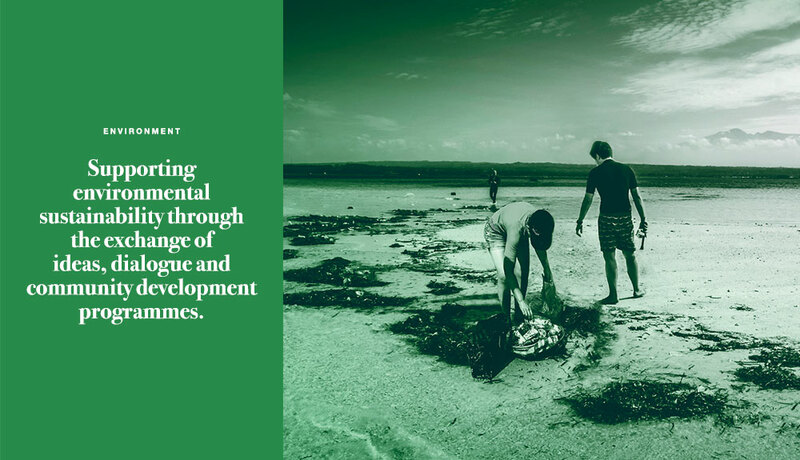 What started as a humble blogshop selling flip-flops has today grown into a consultancy helping international corporations do more to transform lives. 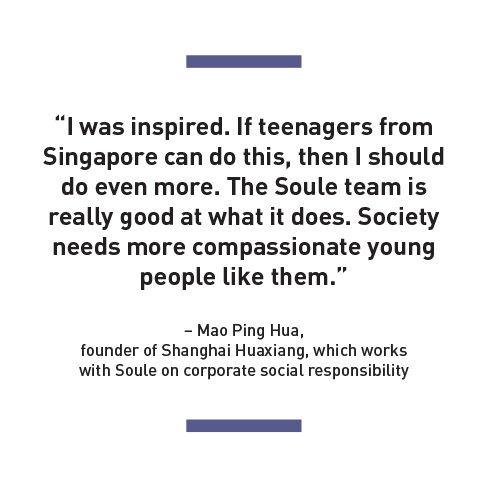 In 2008, three Singaporean teenagers set up Soule to help children in need. 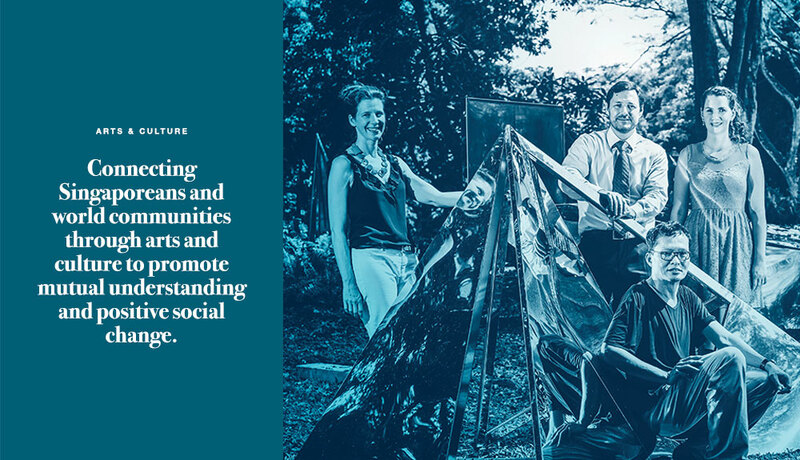 Two years later, Soule was a winning team from the Singapore International Foundation’s Young Social Entrepreneurs (YSE) programme; it now helps companies develop corporate social responsibility (CSR) programmes. Soule has been working with Japanese conglomerate Meiji to distribute food hampers to 15 low-wage families in Singapore twice a month for a year. 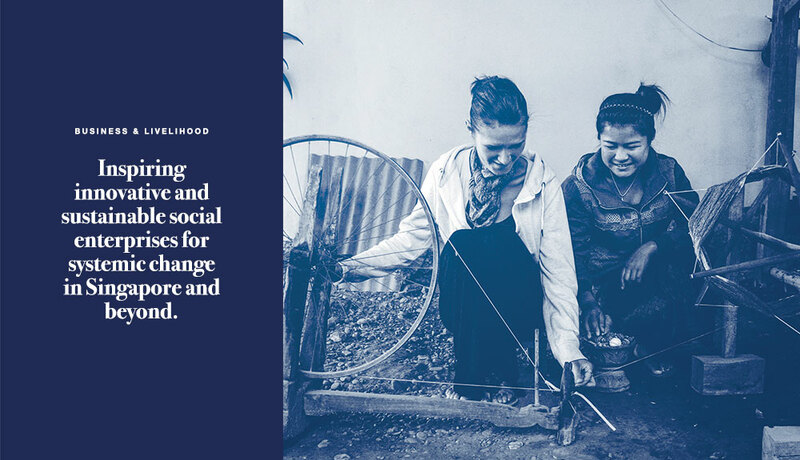 It also works with Shanghai Huaxiang to provide financial assistance to the textile company’s factory employees and bursaries for their children living in remote villages across China. So, in 2008, he roped in two friends who shared his vision and started a web-store donating a pair of shoes to a less fortunate child in China for every pair of flip- flops sold. The early days were tough, with the founders juggling polytechnic studies with part-time work to fund the business. As teenagers, getting suppliers to take them seriously was also challenging. But over time, they did. The founders have since visited Yunnan twice to distribute shoes and school supplies to children. They also donated supplies to the Philippines in 2013, after the destruction caused by Typhoon Haiyan. So far, Soule has given 1,877 pairs of shoes to five schools in Yunnan, and 154 schoolbags to low-income children in China, the Philippines and Singapore. 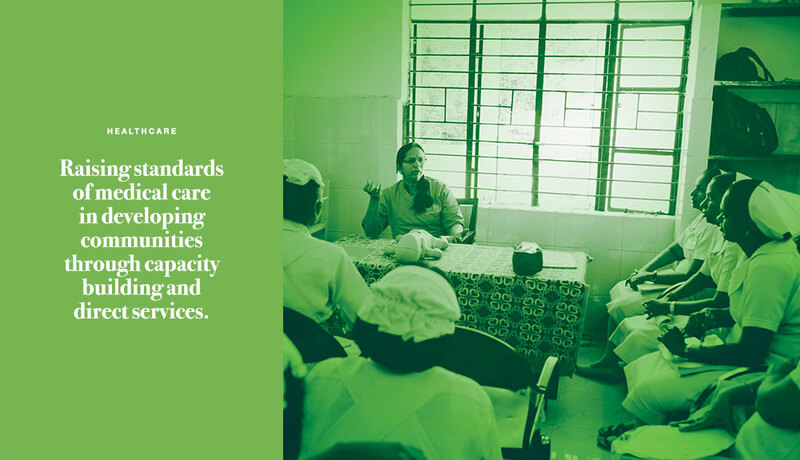 The jump to CSR consultancy came naturally after Soule received more media attention for its work. Calls started streaming in from corporations to explore possible collaborations.